General Admission is FREE Registrations period has ended. 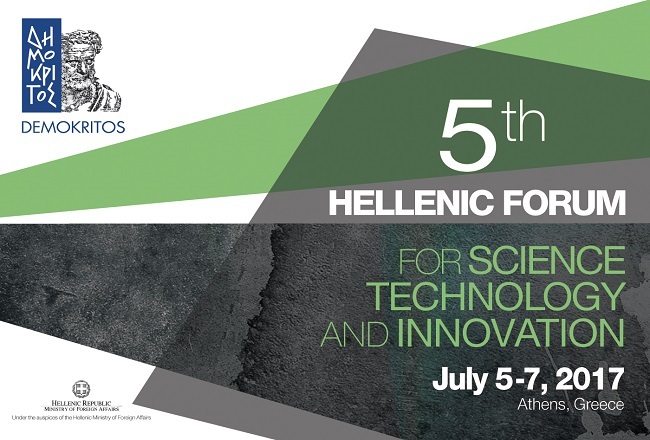 The Hellenic Forum is organized for the 5th consequent year by the National Centre for Scientific Research “Demokritos” and is under the auspices of the Hellenic Ministry of Foreign Affairs. Over its five days duration, a broad range of topics will be covered around Nanotechnology, Energy & Environment, Life Sciences and ICT. The event envisages opportunities for the development of links and affiliations between members of the research community and industry as well as distinguished scientists living and working abroad. PATR. GRIGORIOU E’ & 27 NEAPOLEOS ST.